Health, fitness and activity trackers are dime a dozen these days. 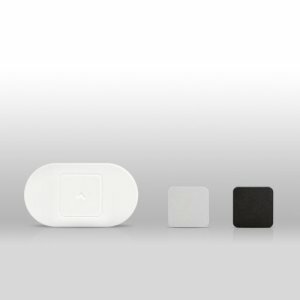 The devices range from the low-cost entry-level activity trackers to the high-end activity trackers that cost around $200. Most of the health, fitness and activity trackers measure the steps, distance, calories burned and monitor your heart rate and sleep quality. They are available in a wristband, bracelet or watch form. All good activity trackers are accompanied by a great health & fitness app that presents to you the data in an easy to understand format. These apps let you track your progress, share and compare your activity with your friends and recommends actions to reach your fitness goals. Recently, activity trackers are suffering an onslaught from the Android Wear smartwatches with built-in activity trackers. But, if your main purpose for the activity tracker is fitness, you better buy a good activity tracking device and save your money. Listed below are the top 10 best health, fitness and activity trackers. 1. 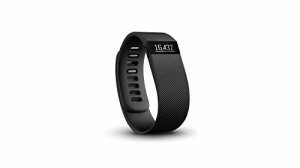 Fitbit Charge Wireless Activity Wristband: The Fitbit Charge Wireless Activity Wristband does everything the hugely popular Fitbit Flex and Fitbit One does and then, some more. The Fitbit Charge Wireless Activity Wristband tracks your steps, distance, calories, stairs climbed, active minutes and sleep quality. In addition, it also displays call notifications with Caller ID. 2. 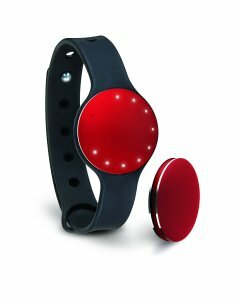 Misfit Shine Activity and Sleep Monitor: The Misfit Shine Activity and Sleep Monitor looks great. The Misfit Shine tracks cycling, soccer, tennis, basketball, swimming and more in addition to steps, calories, distance and sleep quality. The lights on the Shine show how active you have been through out the day. 3. Garmin Vivofit Fitness Band: The Garmin Vivofit Fitness Band is a great motivator. A red move bar is displayed after one hour of inactivity and additional bars are displayed for every fifteen minutes of inactivity. A couple of minutes of walk resets the move bar. The Garmin Vivofit also provides you with personalized daily goals. This device tracks steps, calories, distance and monitors sleep and heart rate. The Vivofit Fitness Band is also available without the heart rate monitor. 4. Lumo Lift for iOS Posture and Activity Tracker: The Lumo Lift for iOS Posture and Activity Tracker is a great device if you intend to correct your imperfect posture. The Lumo Lift sends out vibrations to remind you to sit straight and stand tall. In addition to tracking your posture, the Lumo Lift also tracks steps, calories and distance. 5. Polar Loop Activity Monitor: The Polar Loop Activity Monitor tracks activities with five different intensity levels: resting, sitting, low, medium and high. 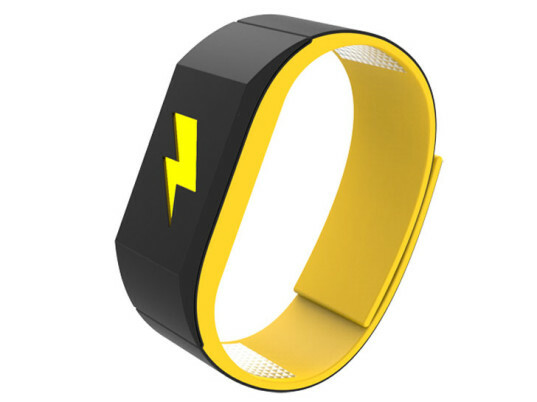 It also tracks calories, steps, sleep and heart rate and also provides you with guidance and motivational feedback. 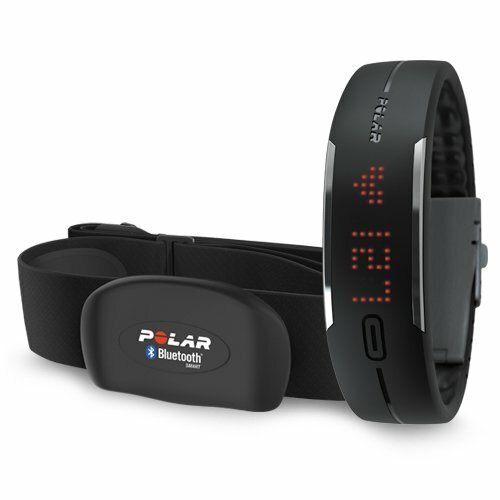 The Polar Loop Activity Monitor is also available without the heart rate monitor. 6. UP 24 by Jawbone: The Jawbone UP 24 tracks steps, exercise, calories burned, hours slept and quality of sleep. You can also instantly find out if you are eating healthy by logging your meals to the UP app. 7. 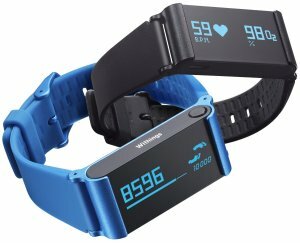 Withings Pulse O2 Activity, Sleep, and Heart Rate Tracker: The Withings Pulse O2 Activity Tracker measures steps, distance walked, elevation climbed, calories burned, sleep duration and quality of sleep. It also measures heart rate and blood oxygen levels on-demand. 8. 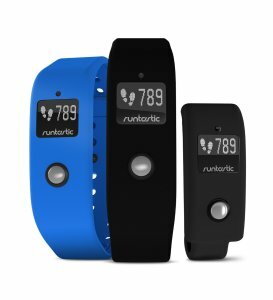 Runtastic Orbit 24 Hour Activity, Fitness & Sleep Tracker: The Runtastic Orbit 24 Hour Activity, Fitness & Sleep Tracker features an OLED display and the tracker is water proof up to 100 meters. The Runtastic Orbit tracks steps, distance, calories burned, active minutes, sleep duration and sleep cycles. 9. 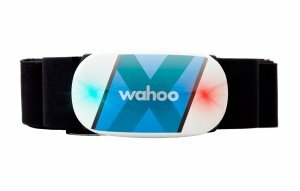 Wahoo TICKR X Workout Tracker: The Wahoo TICKR X Workout Tracker measures calories burned, heart rate, workout duration and also provides a detailed analysis of running form and cycling cadence. The Wahoo TICKR X Workout Tracker is also compatible with Apple HealthKit. 10. Microsoft Band: The Microsoft Band is the latest entrant in the crowded fitness & activity tracker market. The Microsoft Band is pretty expensive, but, does more than a typical activity tracker. The band presents you with email previews, calendar notifications, text messages, incoming calls and notifications. The Microsoft Band works with iPhone, Android smartphones and Windows Phone devices. If you are using a Windows Phone device, you also have access to Cortana, Microsoft’s personal assistant a la Apple’s SIRI. 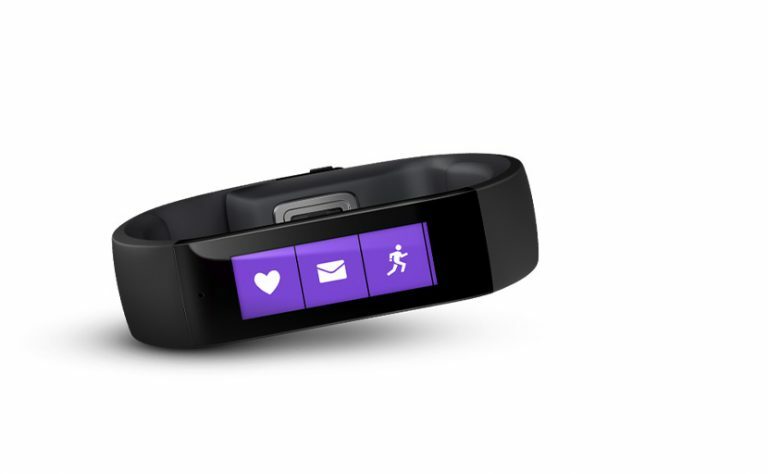 The Microsoft Band is capable of tracking steps, calories, heart rate and sleep quality. These are the top 10 best health, fitness and activity trackers to track your steps, distance, calories, sleep, heart rate etc.